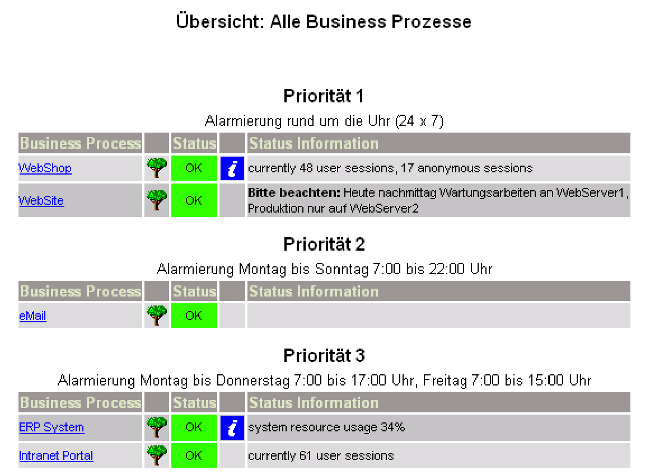 The Business Process module is based on the ideas of the Nagios(tm) Business Process AddOn written by Bernd Strößenreuther. We always loved it’s simplicity, and while it looks pretty oldschool right now there are still many shops happily using it in production. We fully support the BPaddon configuration language and will continue to do so. It’s also perfectly valid to run both products in parallel based on the very same config files. New features are (mostly) added in a compatible way. Configuration titles and descriptions, properties related to state types or permissions are examples for new features that didn’t formerly exist. They are stored as commented metadata in the file header and therefore invisible to the old AddOn. The only way to break compatibility is to use newly introduced operators like NOT. Once you do so, the old AddOn will no longer be able to parse your configuration. Lot’s of changes went on and are still going on under the hood. We have more features and new language constructs. We separated the config reader from the state fetcher in our code base. 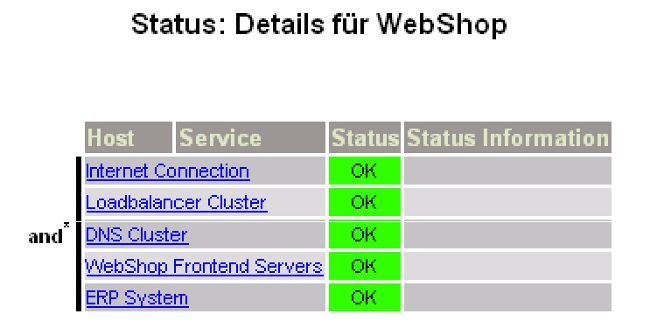 This will allow us to eventually support config backends like SQL databases or the Icinga 2 DSL. This would make it easier to distribute configuration in large environments. Major focus has been put on execution speed. So while the Web integration shows much more details at once and is able to display huge unfolded trees, it should still render and refresh faster. Same goes for the Check Plugin. Behaviour for all operators is now strictly specified and Unit-tested. You still can manually edit your configuration files. But much better, you also delegate this to your co-workers, as Business Process definitions can now be built directly in the GUI.